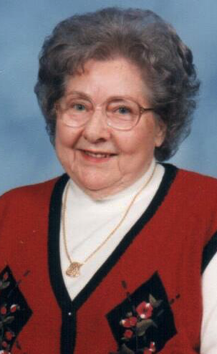 Marian Kidd Wilkins 89 of Gaston passed away on March 18. She was born March 23, 1929 in Roanoke Rapids, the daughter of the late Emmett L. Kidd and Lillie Malone Lee. She was also preceded in death by her husband Irvin P. Wilkins; grandson Kevin Lee Copeland; Stepfather Shelton A. Lee; brother Roy L. Kidd and wife Betty. Mrs. Wilkins was a loving and caring mother, grandmother, great-grandmother, and great-great-grandmother. She was loved by everyone who knew her and will never be forgotten. She is survived by her two daughters, Linda S. Copeland and her husband Daniel of Gaston; Barbara S. Gay and her husband David of Southern Pines; three grandsons: Tony Copeland and wife Mia of Roanoke Rapids; Mark Gay and wife Sara of Charlotte; and Michael Gay and wife Elaine of Chapel Hill; one great-granddaughter, Lauren Gay; five great-grandsons, Chase Copeland, Tyler Copeland, Christopher Gay, John Gay, and Austin Gay; and one great-great-grandson, Landen Copeland. Arrangements are being handled by Wrenn, Clarke, and Hagan Funeral Home in Roanoke Rapids. A Graveside service will be held at Cedarwood Cemetery at 3:00 P.M. Thursday, March 21, 2019, with Reverend Sue Owens officiating. In lieu of flowers, memorial donations may be made to Transitions Life Care, 250 Hospice Circle, Raleigh, NC 27607.